Winter Break is almost over, but I'm still knitting away. 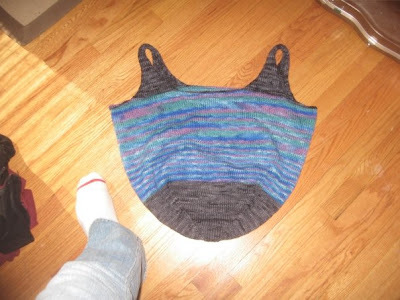 This is a sweater vest I did in the Fall from the book Knitting With Balls. 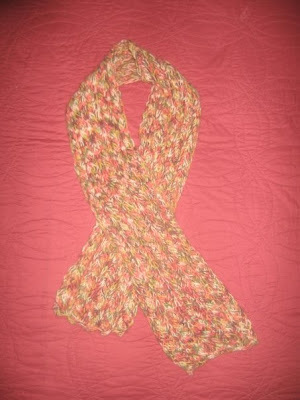 I used Tahki Donegal Tweed. It turned out a lot bigger than expected so I just felted it a little bit and I like the slightly felted look and feel even better than the original knit. Here are some fingerless mitts I worked up one afternoon during break. It's one of my first designs. Simple and functional. I worked on the body of this bag/basket/container on my way down to Oklahoma last weekend to see my brothers and dad. 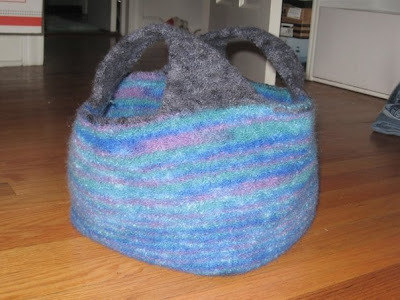 Here's another felted basket I did about a month ago. I made it bigger than recommended so it's a little more floppy, but I like it. 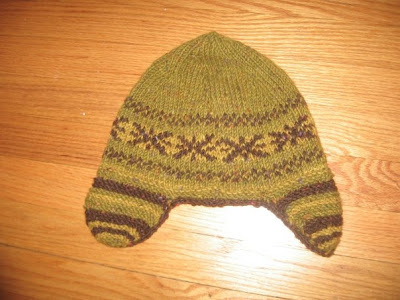 I changed the fair isle design on the body of the hat, but the rest of the hat is as written. I really like the Garter stitched ear flaps. 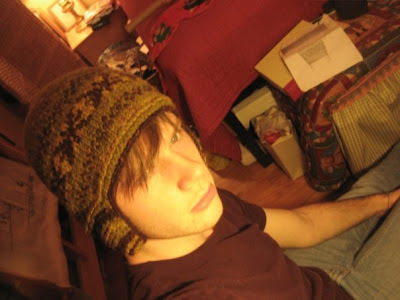 I like to pull my hats all the way down on my head and this one looked like there was extra room at the top to be kind of floppy, but I think it would have looked better had I subtracted a few rows from the pattern on the hat body. I started working on a huge patchwork blanket using Rowan Yorkshire tweed and Scottish tweed. I get a big square out of each skein. I'm about 1/3 done. Hopefully, I can get it finished this month. Each square has a different knit/purl stitch pattern. I'll try to reuse each pattern for just two squares in the quilt. You can't really see the detail in the picture though. I also have an afghan on the needles, but it's not a priority right now. It has the perfect colors to match my beloved plaid couch. Classic Elite Desert yarn. I love it! 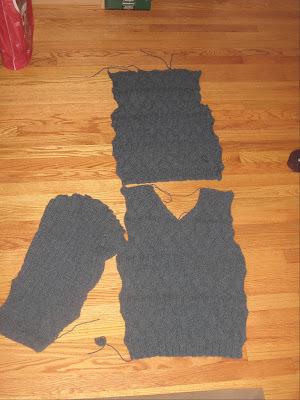 I've made a lot of progress on my Noah sweater by Sarah Hatton. One more sleeve to go and then all the sewing. I DID NOT knit this amazing sweater. My mom gave it to me for Christmas after finding it in a resale store. It's originally from J. Crew. It's my favorite. I loved it so much that I looked up sweaters on eBay and found one from J. Crew like this one. Similar colors, but it has more of a larger patchwork horizontal look to it. I can't wait to get that in the mail so I can have two brilliantly colorful sweaters! Wow. You must knit like mad! 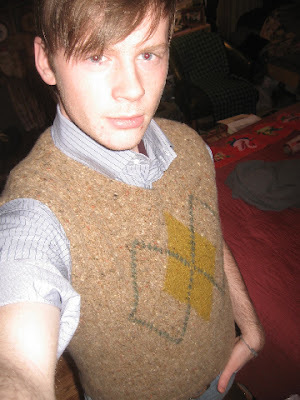 The sweater vest is awesome and the afghans are freaking intense. 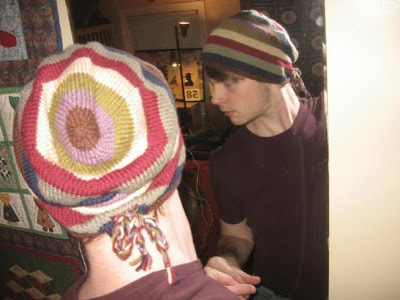 You're a better man-knitter than I.
Oh, and I forgot about the fair isle hat. It rocks pretty hard.